In 1900, the Austrian chemist, botanist and medical researcher Karl Landsteiner realized that not all human blood is alike, that some people's blood contains substances that are toxic to other people's blood. That began to solve the mystery of why some people who received blood transfusions were fine, while others became ill and often died. 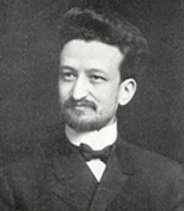 Landsteiner subsequently discovered three of the four genetically determined blood groups or types, O, A and B. A couple of years later, Alfred von Decastello and Adriano Sturli, Landsteiner's colleagues in Vienna, identified a fourth blood group, AB. 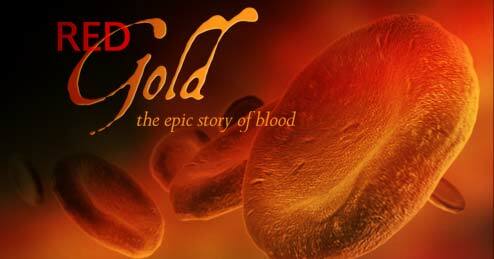 While about 30 blood types have been discovered, the original four essentially cover everyone. In 1910, at the Heidelberg Institute for Experimental Cancer Research in Germany, Ludwig Hirszfeld and Emil von Dungern demonstrated that blood type is an inherited trait. In the speech he made when he accepted the Nobel Prize in 1930 for his work, Landsteiner described the mystery blood presented, and how he and his fellow researchers unraveled its secrets. 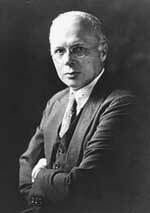 In 1922, Landsteiner moved to the Rockefeller Institute of Medical Research in New York, where he discovered an extremely powerful blood antigen he called "the Rh factor." Today, hospital personnel make sure they know a mother's blood type in case she needs a transfusion. She will also be tested for her Rh factor because it can pose a danger to her baby's well being.